FINAL FANTASY® XIV producer/director, Naoki Yoshida, appeared at the Nico Nico Chokaigi 2015 event in Tokyo. 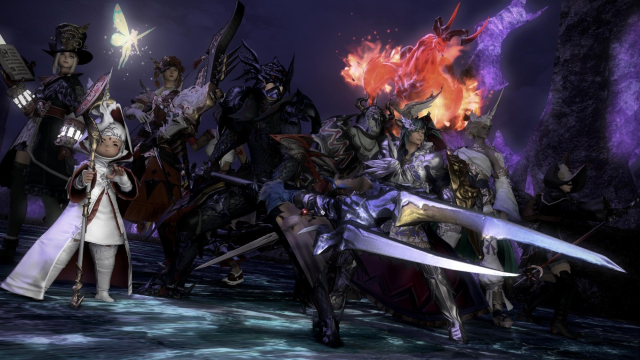 During the show, Yoshida appeared in various on-stage segments, including an “on-the-road” version of the ‘Letter from the Producer LIVE’ where he discussed the upcoming expansion, Heavensward™. As part of the producer letter, Yoshida revealed a brand-new trailer for the Heavensward benchmark software which showcases the three new playable jobs, exciting dungeons, new areas, and flying mounts. He also announced the release of the benchmark software that will enable players to test their PC ahead of release. The benchmark also features the ability to try out the impressive new DirectX® 11 graphics, and create characters, including the new playable race, the Au Ra. The FINAL FANTASY XIV: Heavensward benchmark software is available here: http://na.finalfantasyxiv.com/benchmark/.